So here is a neat trick. 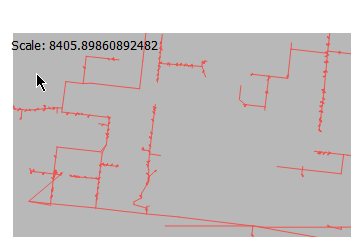 Lets say you wanted to access the scale of a composer map to make it part of a label. The scale bar can already be set to numeric to show the number value but what if it needs to be part of an existing label with other text. Not to fear, expression functions are here. Create a new composer. Add the map frame and a label. Click New File. Give the file a new name and hit save. I called it composer functions. Update the Composer 1 to match your composer name, and the themap to match your item ID. Next Post Hat racks; or appreciating people for what they do. Nat, can’t seem to get this to work! And you added the custom function and hit Run in the editor? I hadn’t but have now and still only the string – do I have to change any of the parameters in the function to match Item ID or anything? Just been through it again afresh but still nothing! Yeah you will need to update the composer name to match yours and the item id to match. 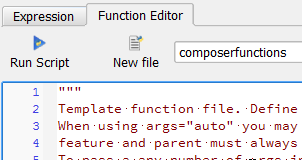 Cheers Nat – I found the problem: in my label string the composeritemattr had underscores so it looked like this: composer_item_mattr – don’t ask me why but there you are! The other question is around colours for attribute grids in a layout – you can change the header font and colour, is there a way of changing the background colour of the header different to the body? It is a frustration of mine – speaking at the UK user group tomorrow on this, that the styling for tables seems to be lacking so you can’t really get it looking good – presentation is a big part of what we do and I’m competing against desktop publishers! Have some ideas so if you’re interested we can have a discussion on the subject. One more thing! Can you return the scale to a whole number as scales arn’t expressed with decimals?